I loved this book. So much so that when I finished it, I turned to the front and began reading it from the start again. Zusak writes beautifully. The narrator style is unique, witty and engaging. The characterisation is done in a very creative and individualistic way and the use of literary techniques in the novel is impressive. As a result, the way in which relationships develop as the story unfolds is wonderful. If like me you like to gain an understanding and appreciation of time periods, situations and events then this book will give you just that. You will laugh, cry and be immersed and in array of emotions along the way. 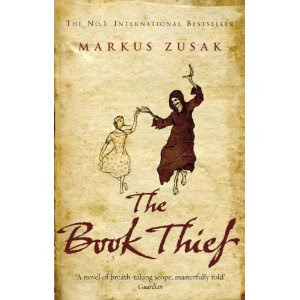 Zusak's manner of using history as a backdrop to educating the reader is brilliant. I would recommend it to anybody who appreciates good story-telling and experimental writing styles. I have bought this book as a gift for many friends since reading it. Heartwrenching yet heartwarming at the same time.